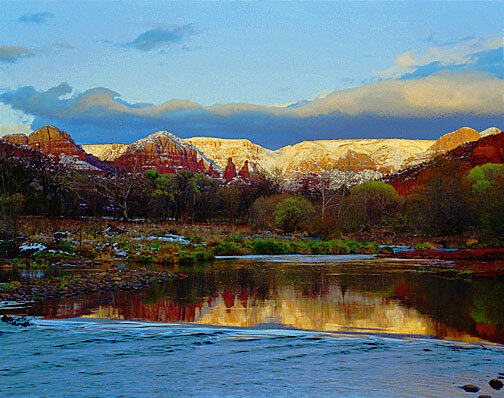 The two nuns are a favorite rock formation usually viewed from the Chapel of the Holly Cross off Route 179 in Sedona. Here, after a late spring snow storm, you can see the two nuns in the distance as viewed from "the crossing" (Oak Creek and Cathedral Rock) looking east. Your talent is amazing. Thank you for sharing these beautiful places with us.